The Justice and Equity Cups Who Will Persevere? Good things happen when lawyers work together to support legal aid. We know that the most efficient way to increase access to justice statewide is to increase funding for legal aid so that programs can hire more legal aid lawyers to help victims of domestic violence, families in danger of losing their homes, and children, seniors, and veterans who cannot afford a lawyer. For 28 years, the Campaign has created a community of people who care about the civil legal system and work together to make justice accessible to everyone, not just the few who can afford it. There’s power in working together. 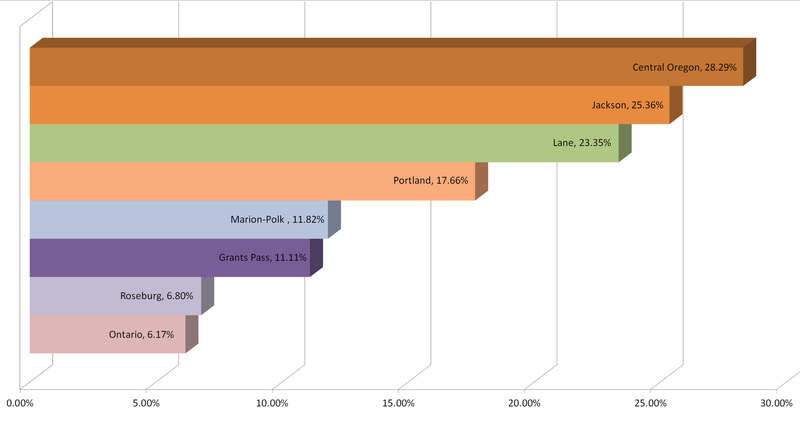 Portland area large and mid-sized law firms are shining examples. In Portland area large firms, almost 80% of lawyers donate to support legal aid, and almost 50% of lawyers in mid-sized firms donate. And, in other groups, such as the Oregon Women Lawyers, more than 35% of lawyers donate. Eight years ago, the Oregon State Bar and the Campaign for Equal Justice joined together to recognize the regions around the state with exemplary support for the Campaign. The prize: two traveling trophies, the Equity Cup and the Justice Cup. The Justice Cup is awarded to the region with the highest percent of lawyers giving to the Campaign. The Equity Cup is awarded to the region with the best improvement in participation, once they hit at least a 10% threshold. Steering Committees work in regions around the state to increase funding for legal aid by recruiting colleagues to join them for lunch, signing their names to annual fund appeals, and making phone calls to reach out to their colleagues. County bar associations have also chipped in, by making financial contributions and using their newsletters as a way to honor donors. It is an impressive and coordinated effort. 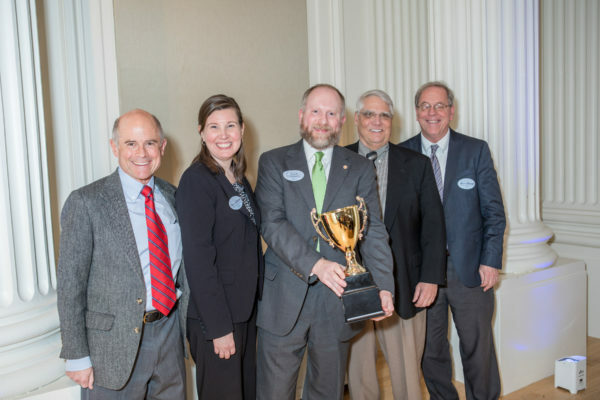 Last year, Jackson County lawyers were once again victorious in the Justice Cup race last year, with just over 40% of lawyers donating to support legal aid. 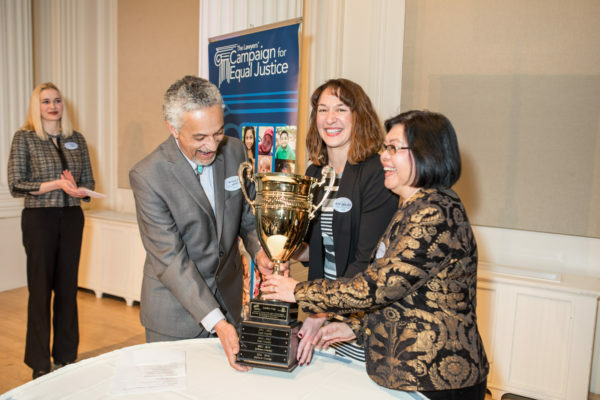 The winner of last year's Equity Cup was Lane County, with over 12% more lawyers donating compared to the previous year. 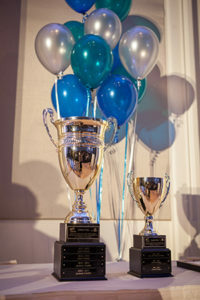 We will update the Equity Cup standings as soon as one or more regions exceed last year's attorney participation level.